Of late I have become depressed by what I see as a lack of credibility in some of the efforts to counter the flood of media reports and bombastic condemnations of North Korea. I believe that continued calls for dialogue and warnings against escalation must be accompanied by an honest and active critique of North Korean policies together with a full recognition of the agency of the North Korean state as an actor – not merely a re-actor to the policies of South Korea, the United States, or other parties. In 2005 I joined an organization called the ASCK, the “Alliance of Scholars Concerned About Korea.” I was only in the second year of my PhD program, but was delighted to hear of an organization of scholars and graduate students who were concerned about US polices towards the two Koreas and sought to promote dialogue, cooperation, and peace on the peninsula. I believed that this organization, reminiscent of the Committee of Concerned Asian Scholars (CCAS) that led academic opposition to the Vietnam War among scholars of Asia, could help provide historical context for the tensions among the Koreas, warn against potentially ineffective US policies, and perhaps spread a better understanding of the North Korean regime’s domestic and international polices that critiqued its many flaws without demonizing it. Even on issues that did not directly involve tensions between the Koreas, I have been troubled by inadequacies in some of their campaigns. 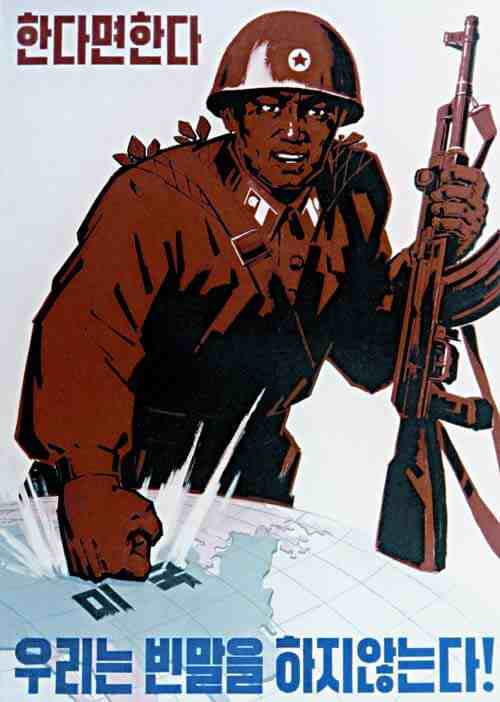 In the past few years ASCK has supported the efforts to spread the work of the South Korean Truth and Reconciliation Commission which has done valuable work, especially in uncovering information about atrocities committed during or just before the Korean War, but the overwhelming emphasis of reporting on their findings is about atrocities committed by anti-Communist forces in a way that occasionally leaves out context or perspective. ASCK has justly protested against heavy-handed political intervention into the revision of history textbooks by conservative forces in South Korea, a position I agree with, but if it cares about history education it should also then be willing to point out the problems in the narratives of existing South Korean textbooks and call for their reform. The ASCK has supported House Resolution 121 on the “Comfort Women” issue, again a laudable cause, but given how distant this is from the organization’s professed goals, one would hope they would direct somewhat more energy into a statement condemning North Korean treatment of returning refugees, or the abuse of its own people, which is undeniably closer to the heart of their mission. It is in its handling of the tensions with North Korea, however, that the ASCK has been truly disappointing. When North Korea carried out its nuclear weapon test in October, 2006, I expected a strongly worded statement of condemnation from the organization attached to an appeal for calm and a realistic appraisal of the alternatives going forward. Nothing. Following North Korea’s May, 2009 nuclear test, I thought surely this time the ASCK would be forced to make a statement condemning the test. Almost all of the current ASCK steering committee and other leading members did stir in June, 2009, but in an unexpected manner when they signed a circulated “Statement from Professors in North America Concerned about Korean Democracy” (English | Korean) deploring the fact that, since the election of Lee Myung-bak, “Korean democracy had lost its way.” It condemned the suppression of candlelight vigils, and problematic government moves against the freedom of press and online activism. I too was concerned by Lee’s handling of the protests, even if I believe it is too much to say that Korea’s young democracy had “lost its way.” If anything it has been the progressive movement that has lost its way, and as a result, lost the trust of the Korean people who subsequently elected a conservative President. It is now a time to regroup, rethink, and plan for the next election. It was not, however, so much the position espoused in the 10 June 2009 statement signed by over two hundred professors (I’m not sure what organizations led the drive to collect them) that dismayed me as the fact that the ASCK or its members put together no statement and collected no signatures at the time condemning a North Korean nuclear test that happened only a few weeks earlier on 25 May, 2009 and coming, rudely, only two days after the suicide of former president Roh Moo Hyun. Compared to the more muted response to the 2006 test, which nevertheless led to the unanimous passing of UN Security Council Resolution 1718, this time even China and Russia were surprisingly vocal in their strong condemnations, which helped lead to the passing of the more sharp-toothed UN Security Council Resolution 1874 in June of last year. But ASCK mobilized no scholars against these tests, or even bother, at this point, to weigh in on the dangers of United Nations sanctions being unproductive, even if justified in their condemnation. I don’t think North Korea would have cowered at the spectacle of having its nuclear tests criticized by a few academics: it is not about that. It is about credibility; it is about taking the right position, of being willing to make a clear honest statement about something that touches the heart of one’s issue, and avoid the hypocrisy that plagued so many progressives in the Cold War who took a stand against American imperialism but fell silent when faced by the horrors of Communist oppression. Sometimes the ASCK does speak up and mention North Korea, but when it does so, it is reluctant to treat North Korea like a full participant in the crisis, even when arguably (and I’m not even asking them to go this far) it is the primary source of tensions. It is always the United States which is the primary target for the ASCK. Article two of this statement singles out the US for criticism and accuses it of pushing the Korean peninsula “perilously close of war” (Poorly chosen words, at any rate, since a major push of the ASCK is to get everyone to realize that the war never ended) and specifically mentions its “threats of embargo, preemptive strikes and regime change” but nowhere in the statement is there an acknowledgment that the DPRK plays a significant role as an obstacle to peace on the peninsula. Later in the document, again in reference to North Korea’s launch of a satellite, a whole paragraph is supplied to present North Korea’s argument in defense of its satellite-loaded missile launch, but not a single sentence is spared in the document to outline why most of the world, except for such noble supporters of democracy as Cuba, Venezuela, and Zimbabwe, have expressed sentiments ranging from concern to outright shock and condemnation. No mention is made of the fact that it is highly likely that delivering a satellite into orbit was not the only, likely not even the primary purpose of the launch. Instead, North Korea’s claims are presented without any skepticism. This entire narrative only functions, however, if we see each step as directly connected to the previous one – of each move being a reaction to some previous provocation. This, I believe, is not only incredibly naive, but seriously underestimates the intelligence and strategy of the North Korean regime. More troubling in this statement is how little is expected of North Korea. It calls on Obama and Chairman Kim Jong-il to “return to a course of dialogue” but all of the rest of the demands made in the statement are directed to other governments: the United States, South Korea, Russia, China, and Japan. It does not ask North Korea to stop nuclear tests, stop firing its missiles, or end its constant threats of war. It brings up the Japanese frustrations with North Korea over the abduction question but does not ask North Korea to address them. On the contrary, in what must be an ominous reference to colonialism it notes Japan’s “historical responsibility for the present crisis,” and notes Japan’s “refusal to fulfill its obligations to provide oil to North Korea under the Six-Party agreements” without any reference to North Korea’s failures to follow through with its many broken promises. In other words, if someone is coming to this issue without any prior knowledge of the background of events, they can not be blamed for getting the impression that North Korea is a pitiable, if feisty victim of international bullying. These two examples are part of a pattern that is deeply troubling. Barring a major shift in its approach, I believe graduate students and scholars who might sympathize with the noble goals set out in the ASCK mission statement should distance themselves from this organization, and refuse to support any statements such as those listed above. I sincerely hope a new cooperative alliance of scholars concerned about Korea will eventually take its place. There is a desperate need for such an organization, but the statements put out by the ASCK risk creating suspicion and attracting ridicule. Progressive supporters of direct dialogue between the United States and North Korea, a defusing of the military tensions, and a final peace treaty are often vilified as “pro-North Korean” or seen as apologists for its oppressive regime. I believe the vast majority of ASCK members and statement supporters are strongly opposed to North Korea’s Stalinist dictatorship and its oppressive policies and their individual writings often confirm this. Doubtlessly some of them believe that there is enough in the media already which condemns North Korea’s nuclear tests, its domestic oppression, and its brinkmanship, and that therefore an organization such as the ASCK plays an important balancing role by focusing on its counter-critique. To those friends I can only say that I think this is both a tactical mistake in terms of lost potential support, as well as morally troubling. As historians and academics studying Korea, there is nothing wrong with us taking a firm political stand. There is no apolitical history, the very questions we ask in our research already betray the assumptions that guide our scholarship. However, some questions, when asked, present themselves like a mirror, reflecting naturally, if uncomfortably, back upon ourselves. Now, as tensions are reaching a new peak following the likely North Korean sinking of the South Korean vessel Cheonan, it is more important than ever that all of us engaged in the academic study of Korea who are deeply concerned about the future of peace on the Korean peninsula speak up. If we support continued dialogue, a carefully moderated response, and oppose any talk of military retaliation, we should do so without denying North Korean responsibility and, despite our justified skepticism of all state parties, tentatively accept the most likely explanations provided. If the ASCK refuses to provide such a voice and live up to its mission, then we should either create an alternative organization or individually make our positions known.